Why would I need self storage in Laguna Woods, CA? There are a variety of reasons why you might need self-storage in Laguna Woods, CA. How much is a storage unit in Laguna Woods, CA? The cheapest storage unit in Laguna Woods, CA is $60.00 per month. What size storage units do you have available in Laguna Woods, CA? In Laguna Woods, CA we have sizes that range from 5'x5' to 10'x20' to suit your storage needs. How much is it for a 5'x5' storage unit in Laguna Woods, CA? The cheapest 5'x5' storage unit in Laguna Woods, CA is $60.00 per month. 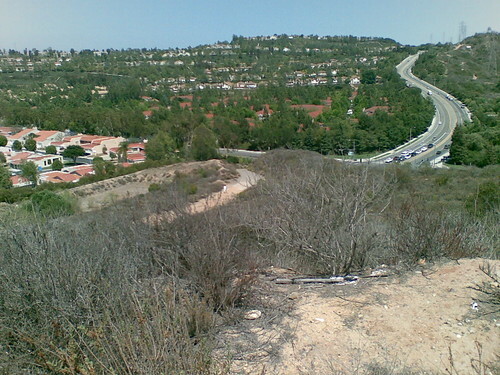 Laguna Woods, is a small village in Orange County just north of Laguna Hills and just south of Irvine. About 90 percent of the community consists of a large retirement community, Laguna Woods Village. As a result, you'll find a large number of retirees residing in Laguna Woods, where they enjoy the area's sunny climate, recreational amenities and quiet lifestyle. The Laguna Woods area is a pleasant place to live, with several outdoor parks and opportunities for recreation. Nearby, Laguna Beach offers the chance for sand, sun and fun, while Whiting Ranch Wilderness Park is just minutes away by car and offers hiking, biking and camping. Several golf courses are within a 30-minute drive, including Tijeras Creek Golf Club, named one of the best golf values in the area. Just 15 minutes to the south is Mission Viejo Golf Course, home to championship golf and a spectacular country club. You're also within a day's drive of major cities like Los Angeles, Long Beach and San Diego, the latter of which is just over an hour to the south. Covering about 90 percent of the Laguna Woods area, the Laguna Woods Village neighborhood is a 55+ community developed by Ross Cortese. As a well-known developer of retirement communities, Cortese created a neighborhood filled with amenities and activities. If you're planning on moving to Laguna Woods Village, you'll find plenty there to keep you busy. There are several swimming pools, two large golf courses, fitness centers and several tennis courts. If you're an animal lover, you can spend time at the neighborhood stables. To try out a variety of arts and crafts activities, you can visit the sewing room, woodworking shop and art studio. Laguna Woods Village is home to over 200 different clubs, offering something for everyone. You can also participate in a number of neighborhood classes and activities. The Saddleback Valley Unified School District serves students in Laguna Woods. Nearby Saddleback College offers a variety of public classes, and hundreds of associate degree and certificate programs. Utilities: Southern California Gas and Southern California Electric are the city's central energy providers, though some areas may receive power from San Diego Gas & Electric. The El Toro Water District manages public water services. Garbage and Recycling: Waste Management Inc. provides curbside collection of trash, recyclables and organic waste. Transportation: The Laguna Woods Village neighborhood has access to the Easy Rider transportation system, providing transit in and around the community. The city also provides curb-to-curb transportation for senior citizens traveling to nearby medical facilities. Pets: Every dog older than 4 months must be licensed. You'll have 15 days after arriving to complete the licensing process. Housing in Laguna Woods is affordable compared to other areas in California, because most of the city is a retirement community. There are a few other neighborhoods in this village, and they're very small. Our lowest priced units in Laguna Woods, CA average $60.00 per month. 26 people have reserved units in Laguna Woods, CA in the past 30 days. There is 1 location within Laguna Woods, CA's city limits. There is 1 location in Laguna Woods, CA that offers AC and Heating features.